The Victorian government in Australia is one that has been traditionally committed to ensuring the sustainable growth of the state’s tourism sector. One of the reasons why Victoria tourism has been so successful until date has been due to the fact that the government of Victoria has focused a lot on the growth of markets in countries like Malaysia, China, Indonesia and India both in the medium as well as the long term. Strong collaborative efforts have also been undertaken by the Victorian government with other Australian states to make sure that the state-wide priorities are always met. This has been done while supporting the regional tourism industry actively at the same time to address a number of local issues. Tourism benefits of many major events including business events have also been increased while key tourism investments have also been identified as well as realized over time. This report discusses the prospect of international tourism in Victoria in the future. To do so, the report first identifies what tourism is, analyzes the business economic impact of tourism, discusses the growth of the services industry, analyzes international marketing strategies and recommends a number of ways by which international tourism can be successfully promoted for the state of Victoria for now as well as for the future. According to the tourism industry of Victoria, tourism is defined as the activities undertaken by people who travel to as well as stay at places that are far away from their usual environment for a period that is not longer than one consecutive year, for the purpose of business, leisure or other purposes that are not connected or related in any to the exercise of activity that is remunerated from the place that is visited (Abascal et al., 2016). Tourism comprises of a number of important segments such as international tourism, domestic tourism, business events, major events, events that involve visiting relatives and friends, as well as non leisure like international education. The strength that is exercised by the tourism industry in Victoria is that it is not solely dependent on just one or more than just one of these segments. Events in the state of Victoria have a vital role to play as far as tourism is concerned, both in the capital city of Melbourne as well as other prominent locations in the state (Amelung, 2014). Tourism is something that historically has rarely been regarded or perceived as any sort of industry. It is not perceived in the same way as other traditional sectors like manufacturing. Yet tourism happens to be quite an important driver when it comes to the Australian state of Victoria (Baum, 2016). Both the indirect as well as direct contribution that is made by the tourism industry to the state of Victoria was in the year between 2011 and 2012 estimated to be a figure as high as 19.1 billion. This is the time when the industry was employing as many as two hundred thousand people in the state. In fact the entire contribution made by the tourism industry to the state of Victoria at this point of time, accounted for as much as 5.8% of the gross state product in Victoria. The jobs in the tourism sector are those that are spread across a number of important industries in the state of Victoria. Takeaway food services, cafes and restaurants are those that accounted for the highest share when it came to direct tourism employment, while accommodation was followed by thirteen percent and retail trade was followed by nineteen percent. If the vision of the government, of spending as much as 24.7 billion is achieved by the year 2020, then tourism as an industry is likely to have a very significant impact on the economy of Victoria. It is believed that the tourism industry is one that is capable of contributing as much as thirty four billion dollars to the gross state product of Victoria by the year 2020-2021. This applies for both direct as well as indirect impacts. It is also believed that the tourism industry in Victoria will generate as many as 310,000 indirect and direct jobs within the same time period (Deville et al., 2016). The Australian dollar is one that has been growing in strength of late and this in turn has had quite a significant impact on the tourism sector in Victoria and in the country as a whole. The service sector has been providing plenty of opportunities for growth and the tourism industry has had a crucial role to play in realizing such growth opportunities. The international education market has also been drawing plenty of global visitors to the state of Victoria (Espinosa et al., 2015). The contribution that is made by international markets to tourism is something that is expected to grow from about thirty percent in 2012, especially with regard to overnight tourist expenditure, to as much as 37 percent within the years 2020 to 2021. Engaging with international growth markets happens to be something that is quite important for the state of Victoria as it can significantly influence the performance of the state economy. The Victorian government is one that very strongly supports an engagement with all international growth markets and this is does through platforms such as its International Engagement Strategy and its International Trade Mission Program (Hall & Scott, 2015). A delegation on the tourism sector formed an important part of a Super Trade Mission that was undertaken to the country of India. The second phase of Victoria’s tourism program known as Melbourne Now was launched as a part of this mission and this delegation met a number of important trade partners in both Mumbai as well as New Delhi. In the years between 2013 and 2021, there is expected to be a growth by approximately two thirds in tourism expenditure that will be coming entirely from the international markets. In order to support such growth, an emphasis will be laid on the realization of a number of fast growing markets in Asia such as Singapore, China, Malaysia, as well as Indonesia, all of which are presently experiencing substantive economic growth accompanied by the development of a burgeoning middle income group or middle class (King and Gardiner, 2015). The government of Victoria has allocated a number of funds that are to be used for undertaking international marketing activities as well as air service attraction, all which are likely to assist in developing partnerships with airlines for maintaining and attracting new aviation services (Mason, 2015). Additionally, by implementing the China tourism strategy that was launched by the government of Victoria in the year 2012, funds have been allocated for enabling the Victorian government as well as the tourism industry for building momentum in the Chinese markets and for achieving great success when attracting visitors from China to Australia (Mao & Huang, 2016). An important part of this strategy is the very first and highly dedicated tourism campaign that was undertaken by the state of Victoria to the Chinese market as part of the Super Trade Mission to China in the month of September in 2012. Representatives from as many as thirty operating sectors of the tourism industry in Victoria formed a part of this mission. The Super Trade Mission to China was supported by crucial activities like marketing directly to the country of China, at a time when the Australian Open tennis tournament was in progress (Laing et al., 2015). It is evident from the secondary sources that have been collated and analyzed above, that prospects for the growth and development of international tourism in Victoria, are those that are relatively high. The fact that the Victorian government has undertaken super trading missions to developing economies like India and China has reaped good rewards for the Victorian government. Today, there are plenty of Chinese and Indian investors operating in Victorian cities and towns, with the city of Melbourne being one that is heavily populated by Indians and Chinese both (Li et al., 2018). There are also plenty of people from the countries of Singapore, Malaysia and Indonesia who run small businesses in Victoria, and who are contributing actively to the economic growth of the state through revenue generation. Indonesian and Malaysian food is very popular in Melbourne and the city is known to attract tourists from Singapore all round the year. The efforts undertaken by the Victorian government to collaborate with the emerging Asian economies has worked wonders with plenty of investment coming in from people native to these economies in Victoria. Foreign are happy and content about the flexible way in which they can do business in Victoria and find every incentive to invest as much as capital as needed to do business in this part of the country, as they know the returns will be great for doing so. The growing strength of the Australian dollar and the international indigenous knowledge education scene in the country have silently contributed to drawing in plenty of international visitors to the state as well. Many people from around the world especially from developing countries like China, India, Malaysia, Indonesia and Singapore are known to visit Melbourne and other parts of Victoria in large numbers, primarily for the purpose of pursuing higher educational degrees over here, be it undergraduate, graduate or doctoral degrees. The composition of the key international source markets in the state of Victoria is expected to change in both the medium as well as the long term. Against the background of such a forecast, it is necessary for tourism Victoria to manage balanced portfolios of the international markets. This will end up increasing the focus on important emerging markets in the East while also maintaining a strong presence in the traditional markets. As argued by Ruhanen et al. (2015), while predicted visitation or yield growth is something that originates largely from the eastern markets like India and China, it is necessary to continue maintaining activities in all the traditional western markets as such markets are more likely to make a contribution to regional dispersals in the short term as well as the medium term. An increasing need will emerge for the tourism industry in Victoria to consider some of the crises that form a normal part of any business or investment venture. Saleh et al (2015), argue, this is going to have to be factored into the business model of the state, and a strong emphasis will have to be placed on adaptation and preparedness. Sui and Balli (2017), state that owing to the vulnerability that the tourism sector is subjected to, especially to the impact of man-made and natural disasters, a crucial need exists for the building of capacity in the Victorian tourism industry, in order to prepare the industry better for responding to such critical events. Yeoman and Meethan (2015), state that a focus needs to be there on developing as well as promoting some of the unique experiences that are on offer in Victoria, when it comes to international markets. A continued focus needs to be there on building a social media presence for the government of Victoria via numerous channels as this will have an important role to play in promoting key strengths in Victoria as well as for encouraging advocacy. Further enhancements are also necessary for the official tourism website www.visitvictoria.com. The language variants need to be updated for key international markets while making sure that the website variants are those that are mobile enabled at the same time (Vanhove, 2017). If the tourism industry in Victoria is one that is to be internationally competitive, it will have to ensure the provision of free internet services or free internet access at all the primary visitor destinations in the state. The Victorian government as well as the tourism industry will have to place a great deal of reliance on internet marketing activities, both as a response to different types of consumer behavior as well as the cost of effective online marketing (Vellas, 2016). The Open Up to More tourism campaign undertaken by the Victorian government needs to be rolled out more. As argued by Tan and Sui (2017), building on the strength of the education scene in Victoria is necessary as well as building on the business links and the migrant links in the state by working across industry and government for promoting the tourism strengths of the State to local Chinese as well as other ethnic and religious communities. Cooperative trade marketing campaigns need to be developed and launched in a number of important emerging markets such as that of India and China. Marketing activities and public relations need to be implemented that are associated with the Victorian governments, Best Job in the World campaign. An international digital as well as social media strategy needs to be developed. Major brand campaigns must be developed and launched in all the major markets such as India and China. Visitor access needs to be improved to the state of Victoria by working in collaboration with Commonwealth governments of the world for simplifying the process of visa application. Trade engagement is something that needs to be increased greatly with emerging markets such as Indonesia, Malaysia and Singapore, as well as the countries of the Middle East. This can be done through extensive participation in trading missions. As argued by Whitford and Ruhanen (2016), the government of Victoria needs to carry on an engagement with as well as encourage visitation from well known traditional markets of the world such as New Zealand, the United Kingdom, as well as countries like the United States of America which are likely to contribute to tourism in the state through visitor flow and foreign investment. ` Thus, growth prospects for international tourism in the Australian state of Victoria are those that are quite high. The Victorian government has been actively collaborating with emerging markets of the world like China and India, Singapore, Malaysia and Indonesia for revenue generation and it needs to carry on doing so while negotiating and collaborating with traditional economies like New Zealand, USA and the UK at the same time. By doing so, the Victorian government will be able to ensure that the future of international tourism in the state remains on the upward swing. The Victorian government can also clearly boost international tourism in the state for now and in the future by taking advantage of its renowned and high quality education scenario that has been responsible for bringing in international students to the state in very large numbers. 1. Abascal, T. E., Fluker, M., & Jiang, M. (2016). Domestic demand for Indigenous tourism in Australia: understanding intention to participate. Journal of Sustainable Tourism, 24(8-9), 1350-1368. 2. Amelung, B., & Nicholls, S. (2014). Implications of climate change for tourism in Australia. Tourism Management, 41, 228-244. 3. Baum, T. (Ed.). (2016). 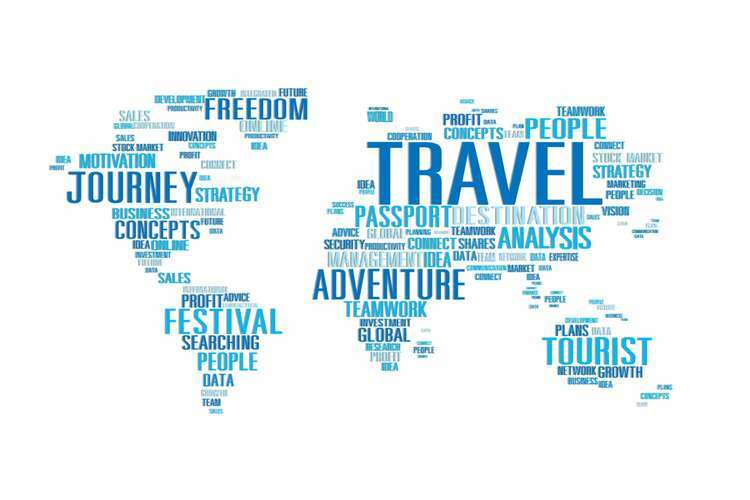 Human resource issues in international tourism. Elsevier. 4. Deville, A., Wearing, S., & McDonald, M. (2016). WWOOFing in Australia: Ideas and lessons for a de-commodified sustainability tourism. Journal of Sustainable Tourism, 24(1), 91-113. 5. Espinosa Abascal, T., Fluker, M., & Jiang, M. (2015). Domestic demand for Indigenous tourism in Australia: Understanding motivations, barriers, and implications for future development. Journal of Heritage Tourism, 10(1), 1-20. 8. King, B., & Gardiner, S. (2015). Chinese International Students. An Avant?Garde of Independent Travellers?. International Journal of Tourism Research, 17(2), 130-139. 10. Li, K. X., Jin, M., & Shi, W. (2018). Tourism as an important impetus to promoting economic growth: A critical review. Tourism management perspectives, 26, 135-142. 11. Mao, I., & Huang, S. (2016). Mainland Chinese outbound tourism to Australia: Recent progress. In Chinese Outbound Tourism 2.0 (pp. 162-178). Apple Academic Press. 12. Mason, P. (2015). Tourism impacts, planning and risk management. Routledge. 13. Ruhanen, L., Whitford, M., & McLennan, C. L. (2015). Exploring Chinese visitor demand for Australia's indigenous tourism experiences. Journal of Hospitality and Tourism Management, 24, 25-34. 14. Saleh, A. S., Assaf, A. G., Ihalanayake, R., & Lung, S. (2015). A panel cointegration analysis of the impact of tourism on economic growth: Evidence from the Middle East region. International Journal of Tourism Research, 17(3), 209-220. 15. Sui, W. H. K., & Balli, F. (2017). International arrivals forecasting for Australian airports and the impact of tourism marketing expenditure. Tourism Economics, 23(2), 403-428.